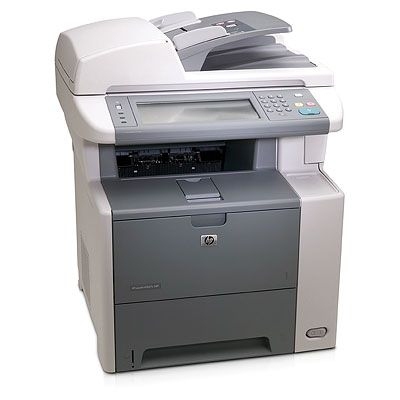 CB417A HP LaserJet M3027x Printer - Refurbished with 6 months Return To Base Warranty & Working Consumables. 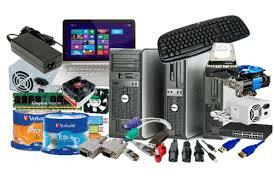 The HP LaserJet M3027x Printer is as good as buying new as all worn parts are replaced. This saves you up to 50% off the price of a brand new printer. We are confident that you will be 100% satisfied with your HP LaserJet M3027x Printer and are here to help with any support questions you may have. The Manufacturers part number/product code for this item is: CB417A. See positive results when you move print, copy, fax, colour scanning and scan-to-e-mail functionality to one compact, desktop device. This highly reliable MFP is easy-to-use, set-up and manage and offers a familiar LaserJet experience. Elevate your small workteam’s performance at a price to fit your budget with this versatile MFP. Bring print, copy, fax , colour scanning and scan-to-e-mail functionality closer to workteams and see positive results. Boost productivity with speeds of up to 25 pm, a fast first page out and two-sided printing , all at an affordable price. Exceptionally easy to use with a improved intuitive control panel. Exceptionally simple to use, manage and maintain, this MFP has a new, intuitive user interface that is easy to navigate, in-built networking for reliable sharing, an internal hard drive and reliable HP printing supplies that minimise interruptions. Get consistent results with HP LaserJet quality and performance you can depend on, at the desktop. This desktop MFP delivers performance you can count on with HP LaserJet reliability. Create professional-quality documents, and experience worry-free operation with a 400 MHz processor capable of handling complex print jobs, and expandable memory.